Oeuf River bed and River trundle - let the sleepover games begin! Oeuf River bed and River trundle – let the sleepover games begin! 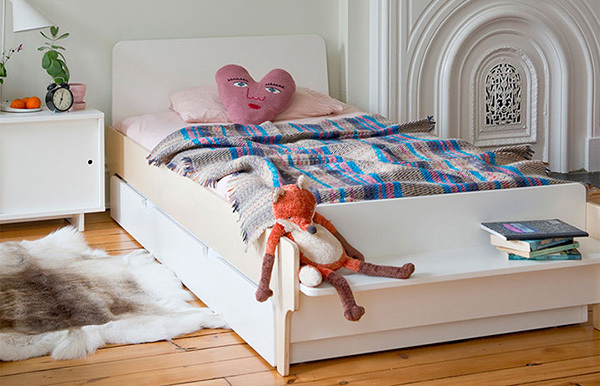 There’s a clever new children’s bed joining the ranks at Oeuf headquarters and it’s fair to say, River is an absolute stunner! 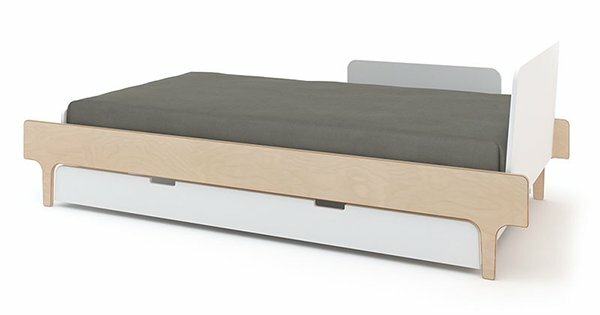 A bed that nests a trundle underneath, complete with a neat bench at its foot is nothing to snooze at. The all new River single bed from Babyology favourite, Oeuf, is hot off the press and set to hit Australian shores next month. 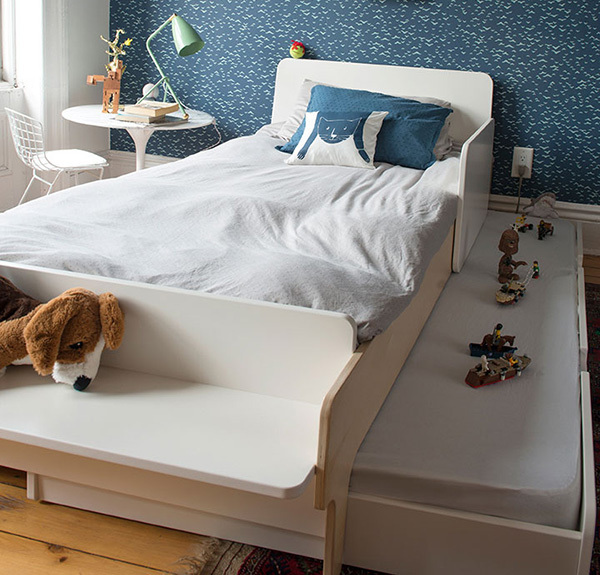 Its low lying stature makes it a wonderful first ‘big bed’ option for young children to easily climb in and out of. The incorporated bench is a useful seat for putting shoes on or taking them off as well as a handy spot for favourite books or for Ted to rest his head. 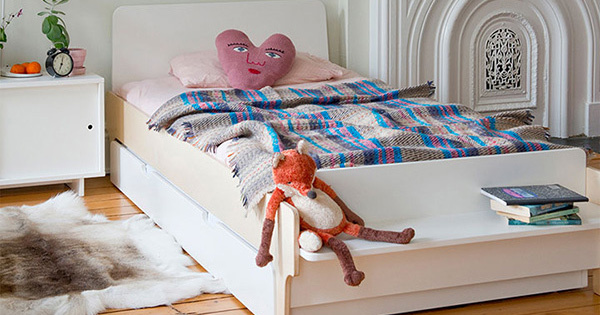 Oeuf’s River Trundle nestles in beautifully underneath, perfect for extra storage (blankets, quilts, pillows) before being kitted out with a mattress for sleepovers. The River Trundle is only available in white, while the River bed is available in signature Oeuf color combinations, either walnut and white or birch and white. The River single bed is priced $1099 and River Trundle, $449. Kidostore is currently taking preorders and all set for June delivery so be sure to secure yours now and let the sleepover planning begin.